Deasy’s Elvis roots finally show themselves on a track from his new CD, The Miles. The song is called “Judgment Day” and sounds like it could have been recorded in 1957 instead of 2007. The strains of other influences can be heard throughout The Miles. Van Morrison’s mystical yearning on “Standing By the River,” U2s anthemic proclamations on “All I Want,” Jackson Browne’s stately poetry on “Blue Highways.” And yet, The Miles is pure Bill Deasy. This is especially true due to the fact that unlike all of his previous efforts, he produced The Miles himself. “It was just time,” the artist explains. “I’d always relied on the help of others. And while collaboration is almost always fruitful, I wanted to put out one thing where the choices were all mine – for better or for worse.” The result is the most honest, direct and moving work of Deasy’s career. Like the songwriters cited above, Bill Deasy has that rare ability to really touch people through his songwriting and perhaps this is the thread that ties those early influences together with his own work. “When I write songs,” says Deasy, “I try to take my life experience and put it out there in a way that people can relate to. I feel like I’ve done my job if a song resonates with other people; if it connects with them in some way.” It’s for this reason his music has attracted fans of all different ages in every state and overseas in places like the UK, Germany, the Netherlands and Japan. “The Miles,” should only add to Deasy’s already broad fan base. Each song demonstrates a different aspect of his artistry and the high level he has achieved both as a writer and singer. Beginning with the philosophical simplicity of the driving title track and culminating with the epic poetry of “Standing By the River,” one point is driven home – it’s all about the journey. Nowhere is this expressed more eloquently than on the record’s stunning centerpiece, “Blue Highways,” which features soulful harmonies from LA-based singer/songwriter Renee Stahl, along with strings, piano and acoustic guitar. The plea is made more poignant by the plaintive delivery -- as if the singer may not really believe there are any blue highways left to discover. It’s a haunting, evocative love song and one of Deasy’s all-time best. 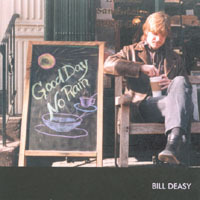 Bill Deasy’s first glimpse of national attention came as lead singer/songwriter of his former band, the Gathering Field, when the title track from their independently released album “Lost in America” became a bona-fide regional hit and brought them to the attention of several major labels. A bidding war ensued and the band ultimately signed to Atlantic Records who re-released the album. Almost immediately the label underwent re-structuring and the band struggled for several years to be released from their contract. Soon afterwards, the Gathering Field put out "Reliance,” followed by “So Close To Home”, an album of songs they’d played live for several years but had never recorded. During that time Bill also released a semi-acoustic solo album, “Spring Lies Waiting,” which he has referred to as an “intentionally low-key affair.” He explains, “I had written all these songs that didn’t quite fit with the Gathering Field and I felt a need to get them out there.” After 6 years devoted to the band, it was an opportunity to return to his roots as both a singer and songwriter and be able to express a vision all his own. The Gathering Field eventually disbanded and Deasy stepped out on his own. In 2003 he released “Good Day No Rain,” on which four songs were produced by Gregg Wattenberg (Five for Fighting, Pat McGee Band, Dishwalla) and the balance co-produced by Deasy and Dave McNair. 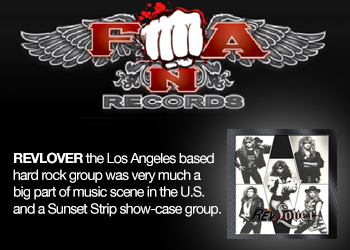 The album brought rave reviews and several songs received airplay both across the country and overseas with a few winding up on the playlist of some significant radio stations. In 2005 came the follow-up, “Chasing Down a Spark,” which was produced by Kevin Salem (Freedy Johnston, Emmylou Harris, Rachael Yamagata) and mixed by the legendary Joe Blaney (The Clash, Blues Traveler, The Raveonettes.) 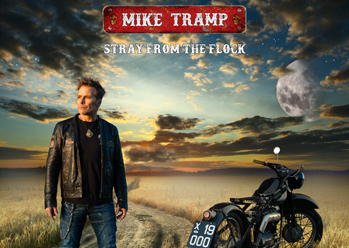 The majority of the CD was recorded in Woodstock and New York City and features stellar guitar work from the Clarks´ Rob James and producer Kevin Salem. The CD also features guest appearances by such Pittsburgh notables as Donnie Iris and the Clarks´ Scott Blasey as well as recording artists Rachael Yamagata and Maia Sharp. In August of 2006 Bill Deasy added "published author" to his list of accomplishments with the release of his first novel, "Ransom Seaborn", which went on to receive the 2006 Needle Award. Besides Deasy’s ability to turn a phrase, his distinctive voice is yet another appealing factor. Several fans have remarked that he could “sing the phonebook and make it sound good!” Certainly, it was that amazing voice that brought literally thousands of people to his website upon hearing him sing “Good Things Are Happening” in a commercial for ABC’s Good Morning America and got him the surprising gig in the first place. The campaign was intended to last only 10 weeks but it became so successful that it remained on the air for 3 ½ years. Deasy continues to show his diversity as both a songwriter and performer. 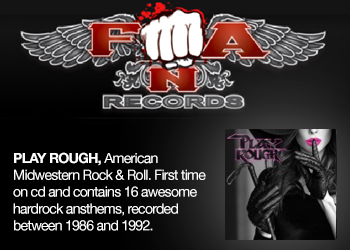 His songs have been recorded by a wide array of artists including Kim Richey, Martina McBride, the Clarks, British pop star Howard Jones, Billy Ray Cyrus, Bijou Phillips and Michael Stanley. He has shared the stage with an equally diverse group, opening for the likes of Bob Dylan, Norah Jones, Patty Griffin, John Mellencamp and Bruce Springsteen. 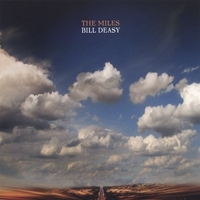 With the release of "The Miles," Bill Deasy establishes himself, once and for all, in that elite group of artist/songwriters whose work is built to last and designed to have an enduring emotional impact. This group of exceptional songs about seeking and sometimes finding, journeying for the sake of the journey, and learning as you go, will surely find it´s way onto the soundtrack of many listener´s lives as they join (or continue to accompany) a truly special talent on his "sometimes paved and sometimes gravel" road. 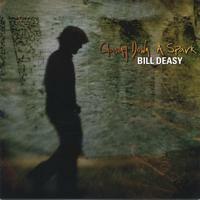 2013-04-21 - Bill Deasy With New Album Out In "Start Again"